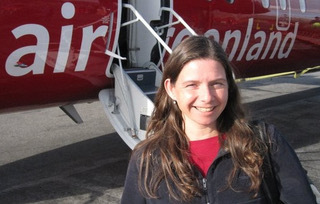 Alyne Delaney is the Head of Research at Innovative Fisheries Management at Aalborg University, Denmark. She received her PhD in Cultural Anthropology from the University of Pittsburgh (USA) where she worked with small-scale coastal fishers in Tohoku, Japan. Since moving to Denmark for a post-doc in co-management and common property theory, she has worked in small-scale fisheries projects throughout the world, including SE Asia, Greenland, and Africa in addition to her current work in Europe. She had advocated for community profiling and social indicators as a way to improve management in European fisheries, and spent nearly 5 years as the only non-economic social scientist on STECF, the Scientific, Technical, and Economic Committee for Fisheries, an advisory body to the European Commission. She has collaborated on numerous TBTI publications on governance and the FAO Voluntary Guidelines for Securing Sustainable Small-Scale Fisheries in the Context of Food Security and Poverty Eradication. My most recent work with small-scale fisheries (SSF) has focused on coastal herring in the Baltic Sea, especially on aspects of product innovation and branding (e.g., through the efforts of women), the governance problems (SSF tend to have a limited voice in the system), and the sociocultural importance of herring for coastal peoples. The most important factor today is giving small-scale fishers a say in the governance of the fisheries. SSF tend to lack in representation; they have no voice in the process. Also, in many countries (e.g., Denmark and Japan), governmental policies and regulations can impede commercial small-scale fishers ability to transmit cultural knowledge and experiences to their own children. Such experiences are vital for the continuation of this way of life into future generations.